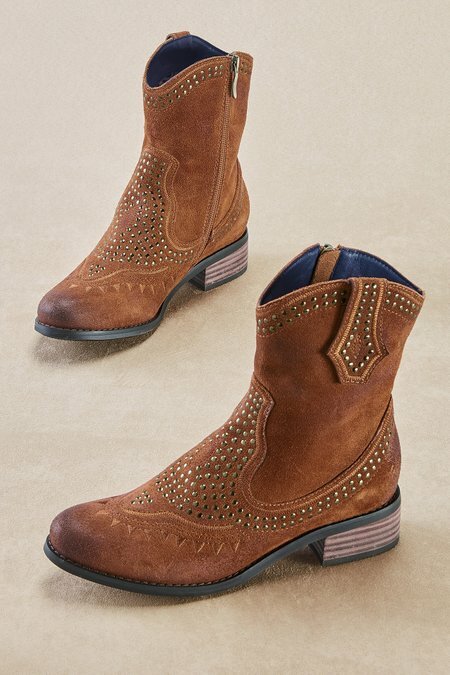 These most-wanted suede boots mix a Western vibe with the urban edge of metallic studs and tonal embroidered triangles. Slightly slouchy and very comfy with a fabric lining, padded footbed and stack heel. 1-1/2" heel.